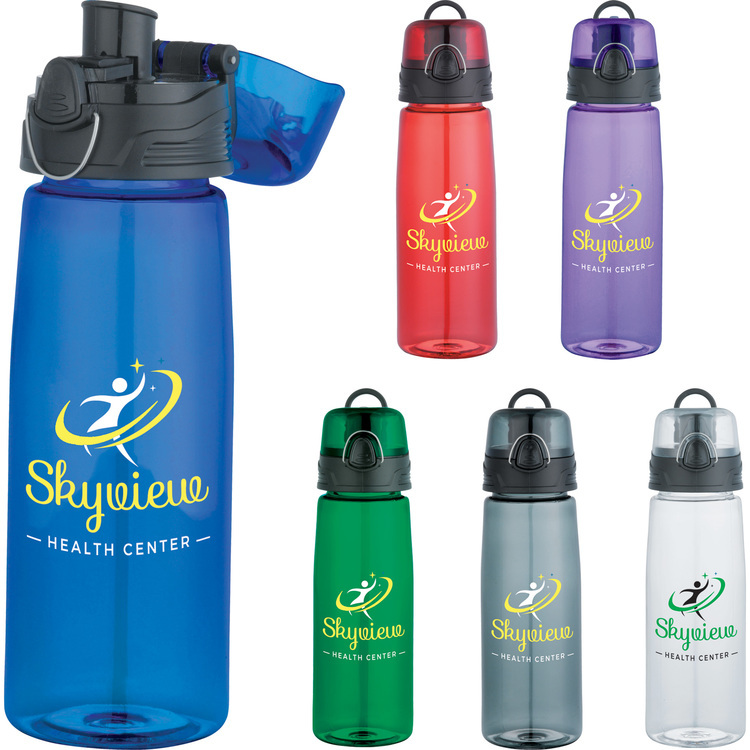 It's quite simple actually - add your company name or logo to this colorful beverage accessory! The Simplicity 24 oz. 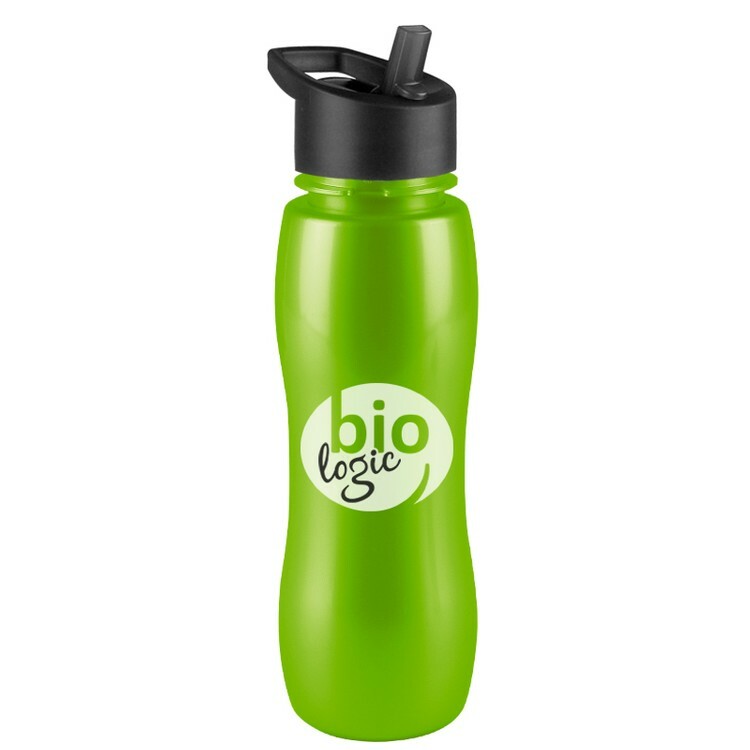 water bottle features a clear and fresh design, solid color silicone soft spout and is BPA free. Made of single walled Tritan (TM) plastic, it's refreshing to drink from. Choose from the 6 vivid color options, add your custom imprint and hand them out at charity walks, wellness events and corporate picnics! 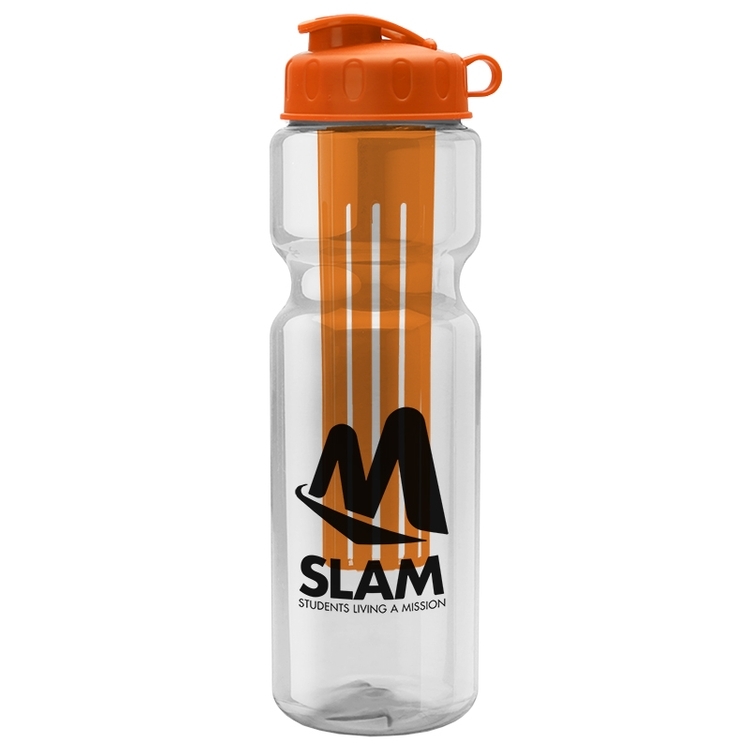 Product Size: 10" H x 2.85" D.
Show your dedication to providing quality items to your customers with this Gator water bottle. It's made of Tritan plastic and holds a large 24 oz. of liquid. 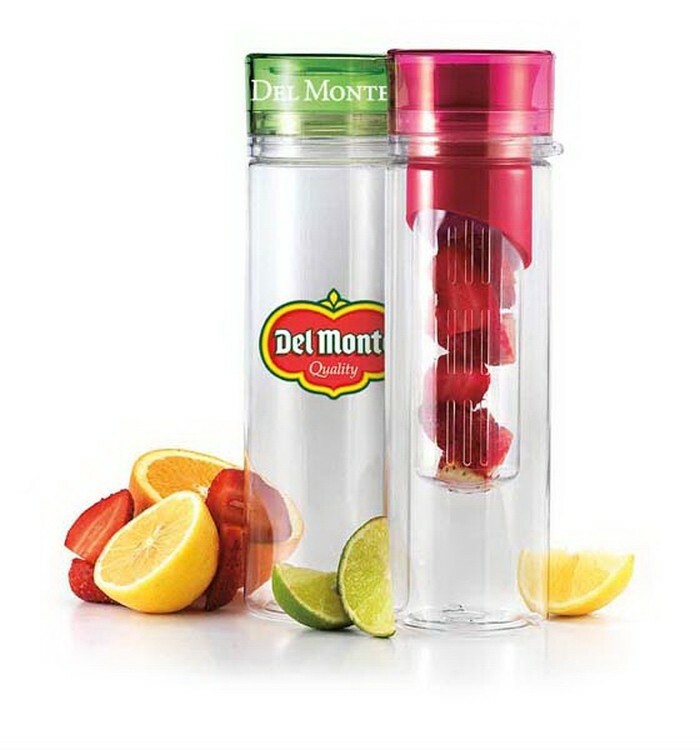 It's top rack dishwasher safe, BPA free, and measures 9" H x 2.75" D. The top half is detachable for easy cleaning and so you can insert ice to cool down your drink. The drinkable spout with screw off cap is color coordinated with the gaskets. 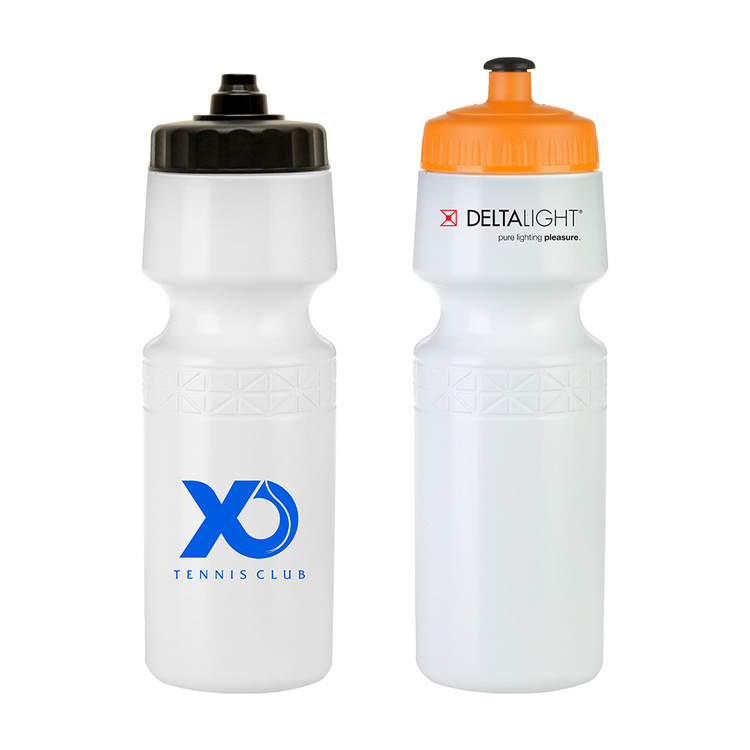 Imprint it with your company name or logo and make this available to athletes for a fantastic promotion! Feel free to make a snap decision during the next promotional campaign - as long as it's with this snap cap! Measuring 2" x 2.25", this handy product is designed for reusing bottles and cans, preventing your drinks from going flat quickly, keeping bugs out and preventing spilling. 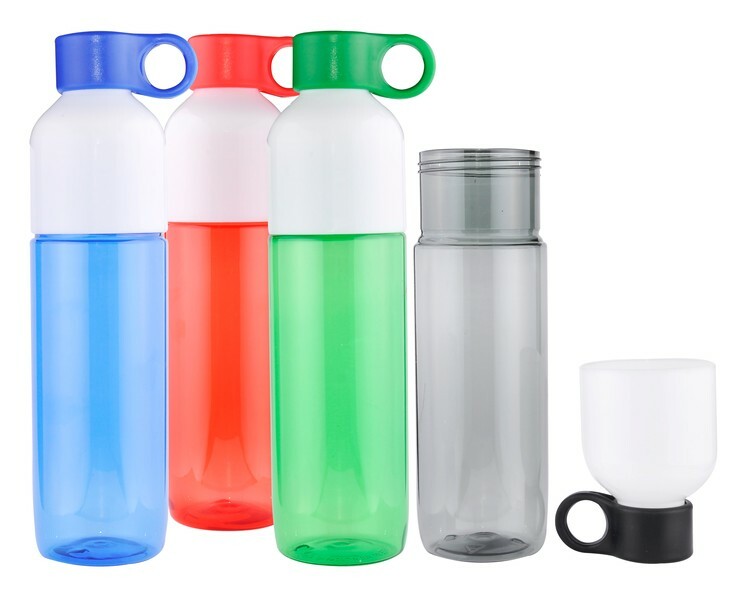 It is made of BPA-free material and is great for picnics, camping, the office and more. 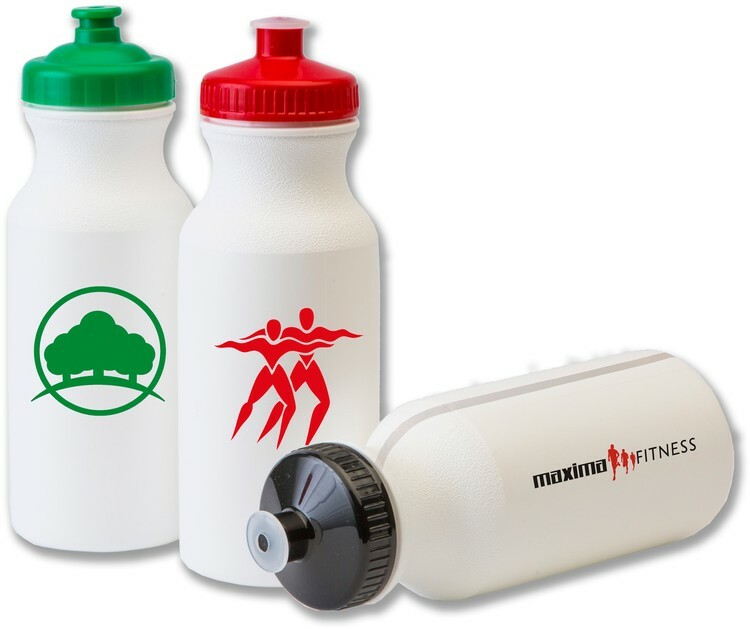 Customize with an imprint of your brand logo for increased exposure on a unique product. 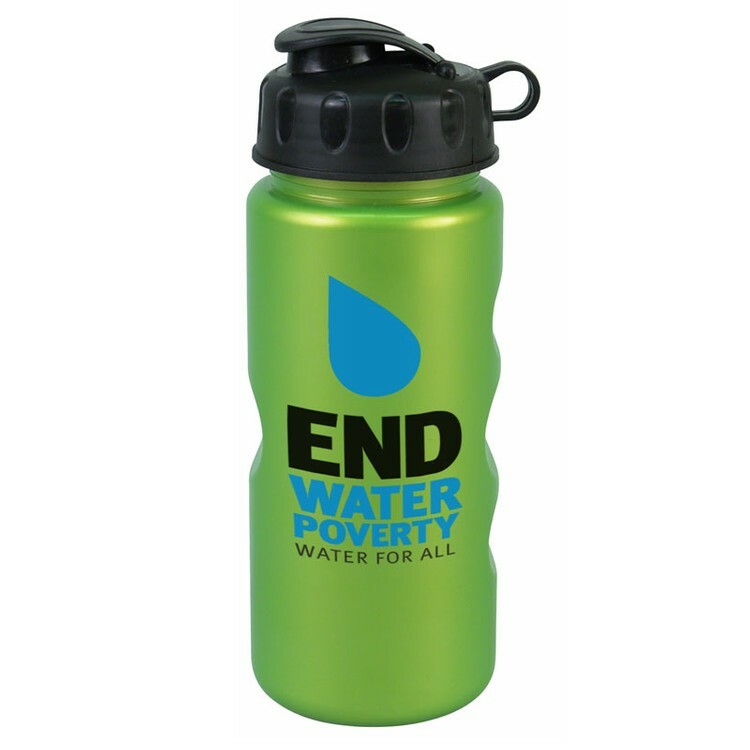 Shapely and comfortable to hold, the Eco-Verde tumbler makes a fitting gift for customers and employees alike! With a 16 ounce capacity, dual wall biodegradable construction and bold exterior colors, this hourglass shaped beverage holder includes a screw on top with spill resistant, flip up lid. Considered biodegradable in landfill conditions according to ASTM D511. (This product may not be marketed as biodegradable in California.) 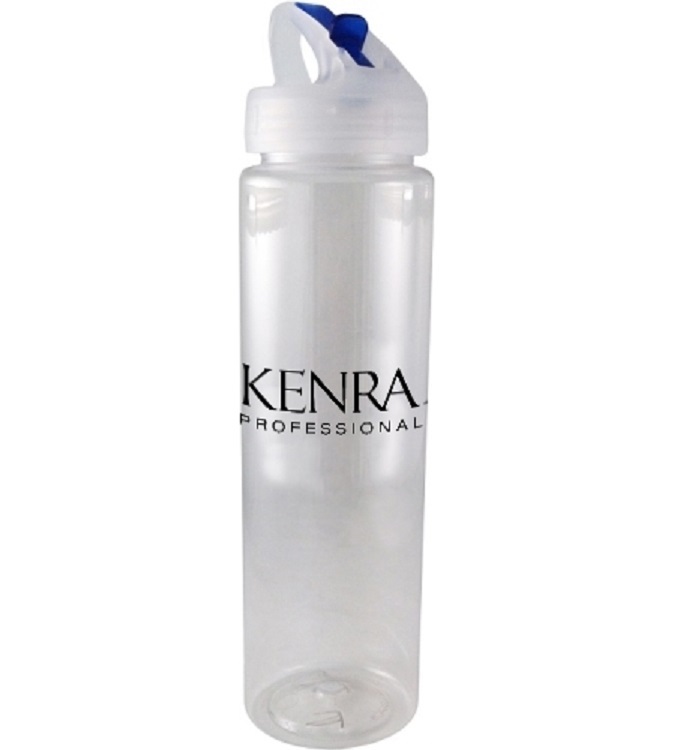 Product Size: 8.25" H x 2.5" D.
If you want your next promotion to be a success, look no further than this Dolani bottle! 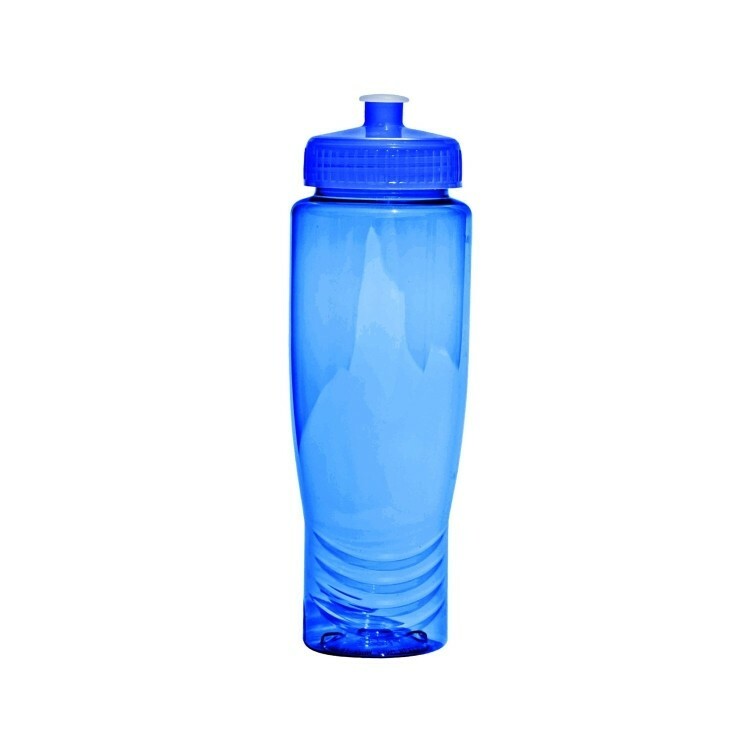 It features single wall construction, measures 9.5" H x 2.75" D, and holds up to 24 oz. of water. This item is dishwasher safe and BPA free. 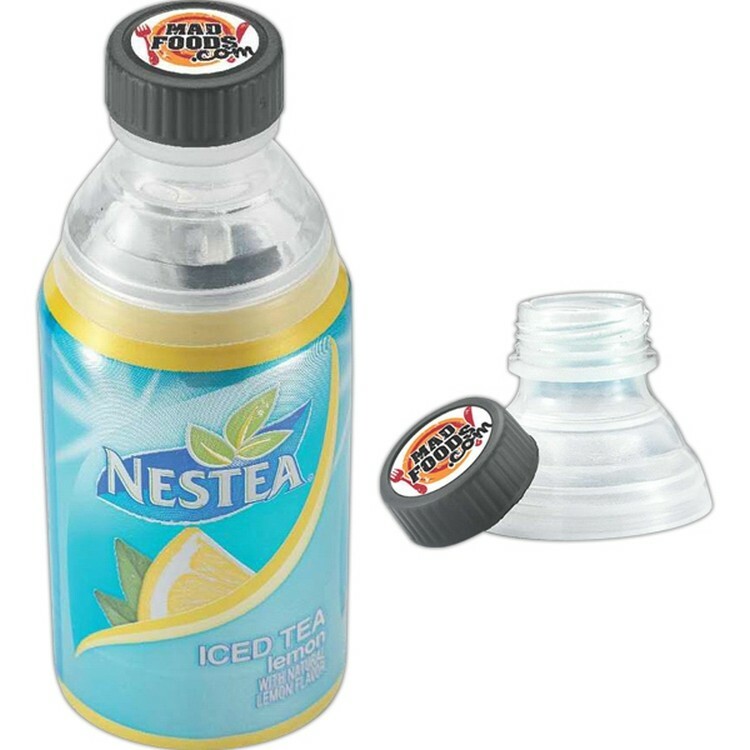 The screw-on lid comes in a variety of colors, so choose what works for you and imprint this item with your brand logo. This is a great way to get noticed amongst your competition! 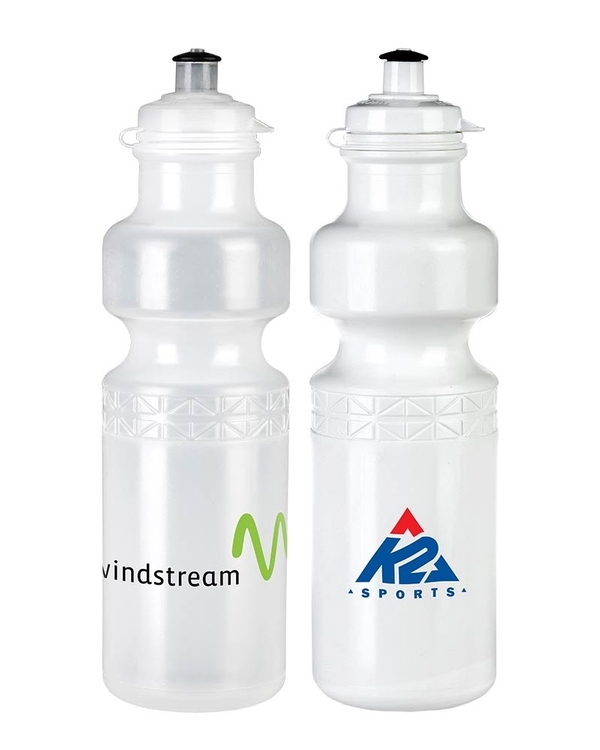 Build some excitement around your booth at the next tradeshow when you make this Marino bottle your next giveaway. It's a 24 oz. single wall item with a handle for easy carrying and a screw-on lid. 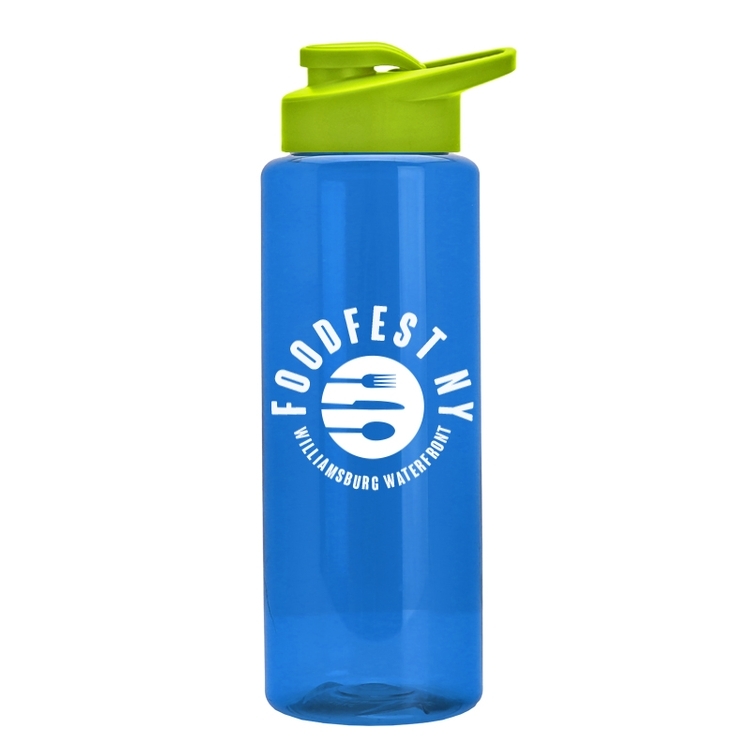 It's BPA free, measures 10" H x 2.7" D, and features a wide mouth opening for easy insertion of ice cubes. Pad print or silkscreen this with your company name or logo and hand this out to customers to get them familiar with your business! 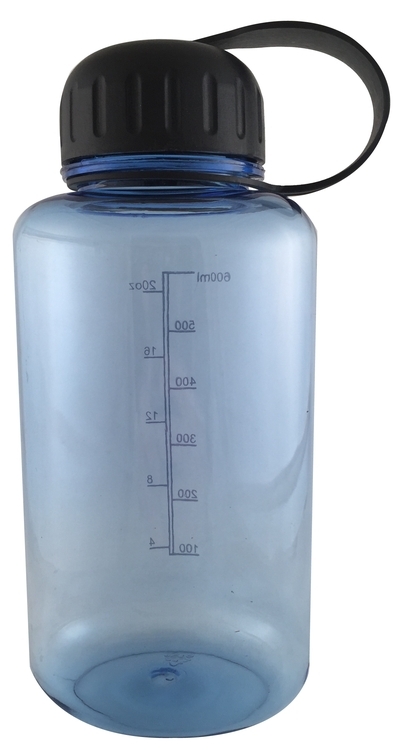 Features the twist on/off plastic lid with sipper strainer and a measuring scale on backside of bottle. *Imprint one side only. 28 Oz. Transparent Bike Bottle with Snap Lid and Long Infuser. Hand wash only. Molded from food-safe PETE plastic. PETE is BPA free. Hand wash only. Do not microwave. FDA compliant - Safe for food contact. Single-wall construction. 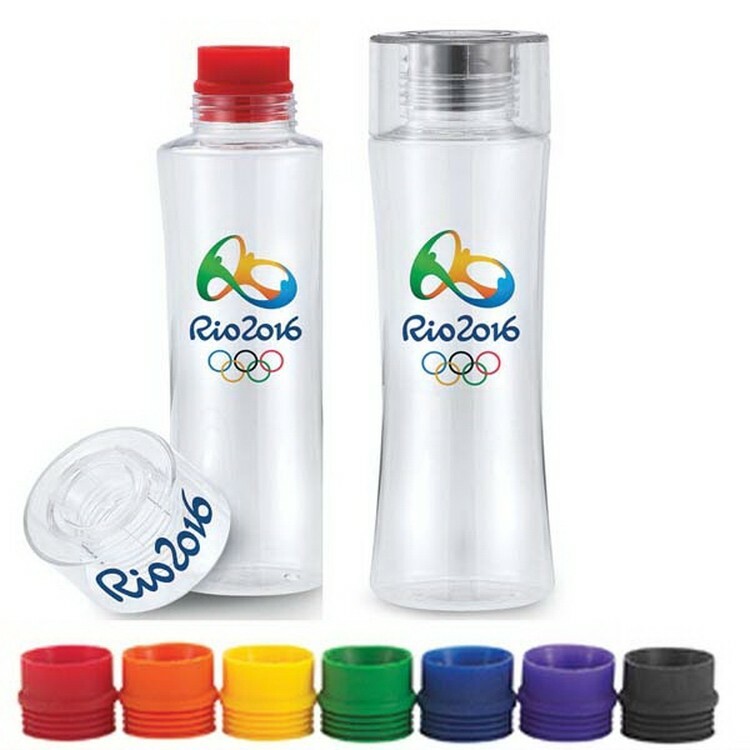 Sports bottle with press-button, flip-open drinking lid with spout. Metal locking latch and plastic carry loop. Hand wash only. Follow any included care guidelines. 32 Oz. 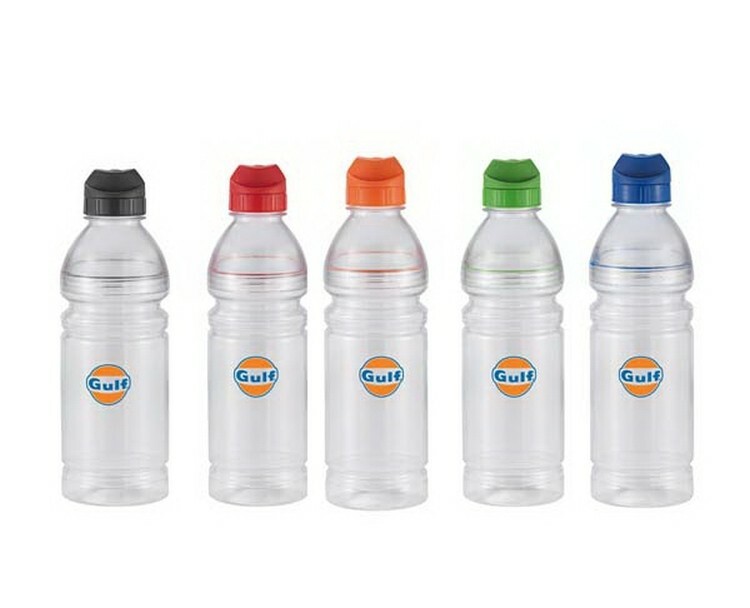 Sport Bottle with Snap Cap. Ships assembled. Molded from food-safe PETE plastic. PETE is BPA free. Hand wash only. Do not microwave. FDA compliant - Safe for food contact. 28 Oz. 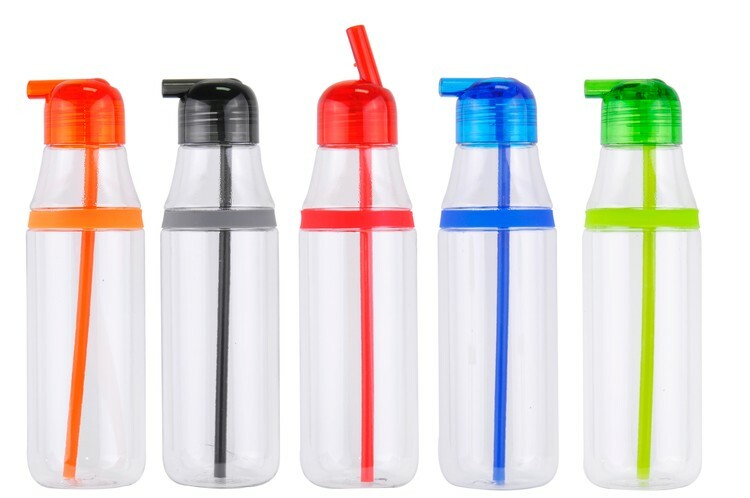 Transparent Sports Bottle with Extra Long Infuser and Flip lid. Ships assembled with Flip Top lid and Infuser. 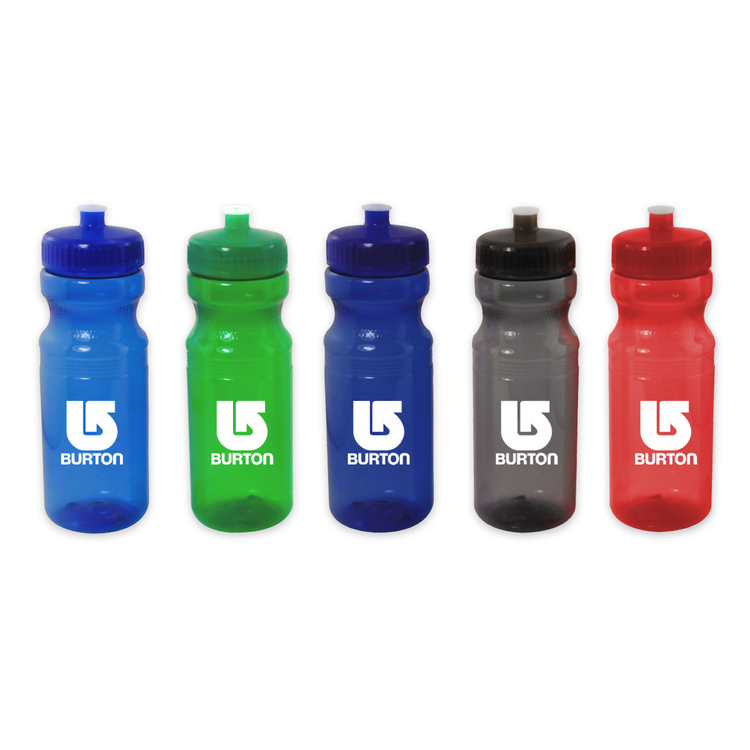 Bottle, Infusers and Lids come in wide selection of colors - create you own unique combination. Molded from food-safe PETE plastic. PETE is BPA free. 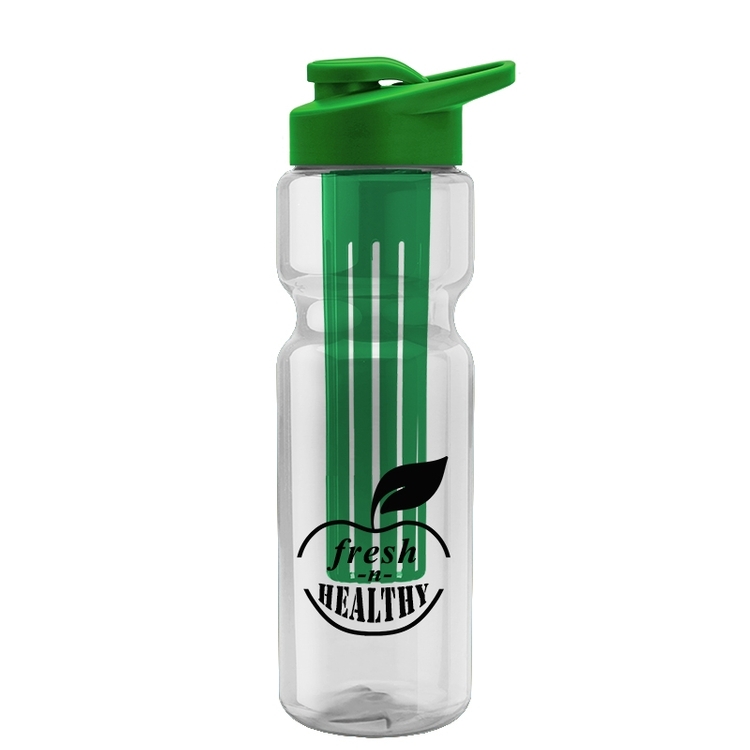 Translucent plastic bottle, 28 oz Polyfresh (TM). Recyclable and BPA free. Wide mouth perfect for ice cubes. Push/pull twist-on cap free assembly. Same color, second side or wrap imprint at no additional charge. Ounce gauge molded into back of bottle. Size: 9 1/2 H x 3 Diameter. A 26 oz. 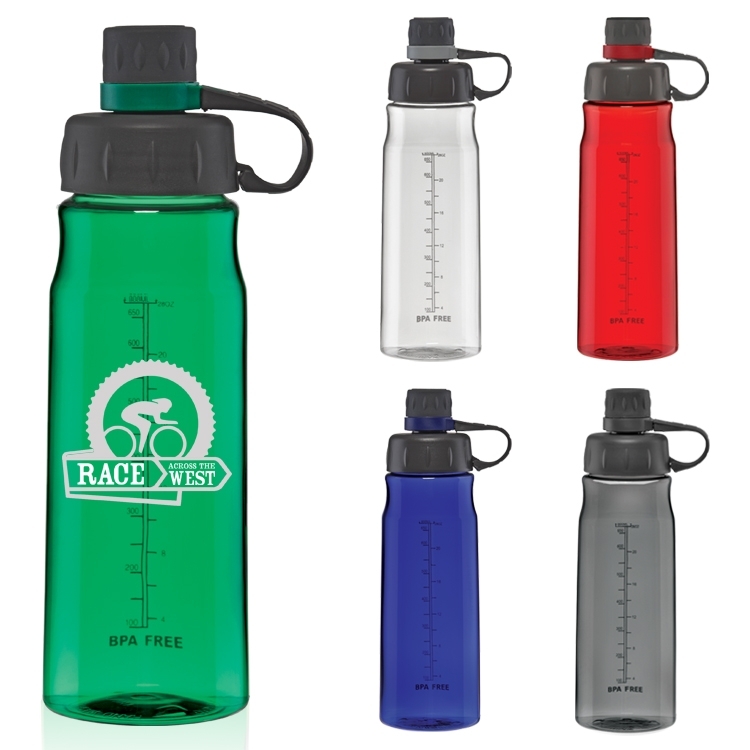 wide mouth easy squeeze bike/sports bottle with a leak proof, push-pull DuoFlowTM 63 mm lid. 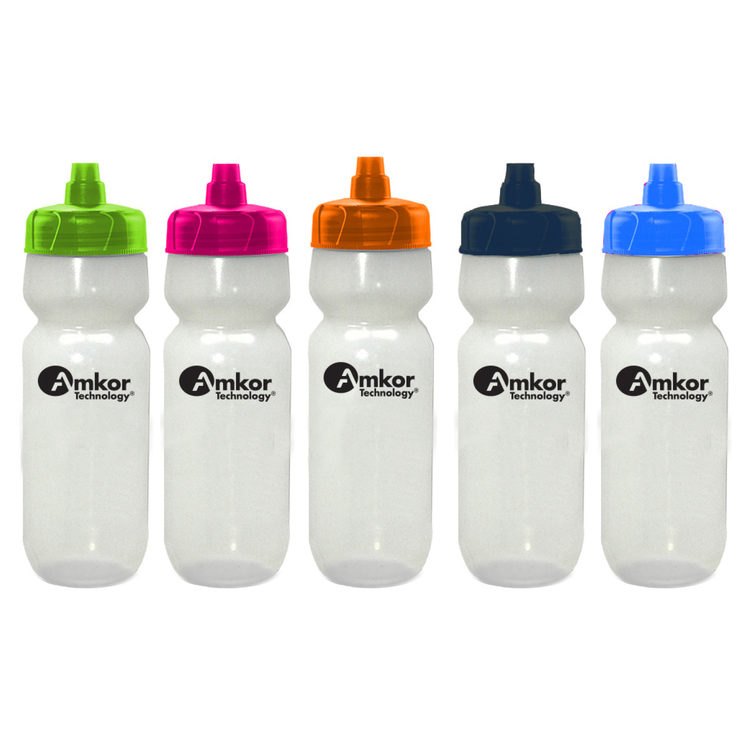 These bottles are FDA approved LDPE plastic and are Prop 65 compliant. FOB CA * BPA free. Add a Bottle Cage for $1.99(v) WHILE SUPPLIES LAST. NEW! Optional 63-mm leak-proof Automatic Valve Cap.